Recent scholarship on archival research has raised questions concerning the character and impact of 'the archive' on how the traces of the past are researched, the use and analysis of different kinds of archived data, methodological approaches to the practicalities involved, and what kind of theory is drawn on and contributed to by such research. 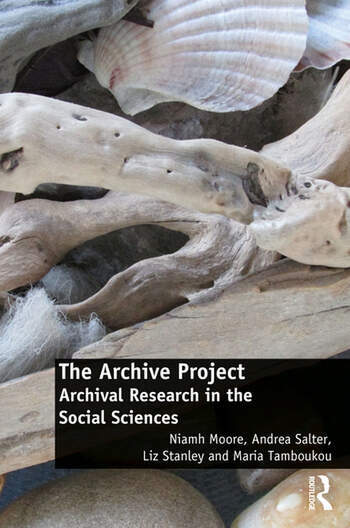 The Archive Project: Archival Research in the Social Sciences builds on these questions, exploring key methodological ideas and debates and engaging in detail with a wide range of archival projects and practices, in order to put to use important theoretical ideas that shed light on the methods involved. Offering an overview of the current 'state of the field' and written by four authors with extensive experience in conducting research in and creating archives around the world, it demonstrates the different ways in which archival methodology, practice and theory can be employed. It also shows how the ideas and approaches detailed in the book can be put into practice by other researchers, working on different kinds of archives and collections. The volume engages with crucial questions, including: What is 'an archive' and how does it come into existence? Why do archival research and how is it done? How can sense be made of the scale and scope of collections and archives? What are the best ways to analyse the traces of the past that remain? What are helpful criteria for evaluating the knowledge claims produced by archival research? What is the importance of community archives? How has the digital turn changed the way in which archival research is carried out? What role is played by the questions that researchers bring into an archive? How do we deal with unexpected encounters in the archive? A rigorous and accessible examination of the methods and choices that shape research 'on the ground' and the ways in which theory, practice and methodology inform one another, this book will appeal to scholars across the social sciences and humanities with interests in archival and documentary research. Niamh Moore is a Chancellor's Fellow in Sociology at the University of Edinburgh, UK, with a background in interdisciplinary feminist studies. Her research includes work on ecofeminist activism (The Changing Nature of Ecofeminism: Telling Stories from Clayoquot Sound, UBC Press, 2015), the archiving and reuse of data, and community-based participatory research, including with community-food growing projects. Andrea Salter is Research Facilitator for the Arts, Humanities and Social Sciences at the University of Cambridge, UK, and has held postdoctoral positions at UCL and the Universities of Cambridge and Edinburgh. With a background in sociology and human geography, she continues to research ‘documents of life’. Publications include articles and also The World’s Great Question: Olive Schreiner’s South African Letters (Cape Town: VRS, 2014, with Liz Stanley). Maria Tamboukou is Professor of Feminist Studies at the University of East London, UK. Her research activity is in the areas of critical feminisms, auto/biographical narratives and studies in neo-materialism. Writing feminist genealogies is the central focus of her work. Recent publications include the monograph Sewing, Writing and Fighting: Radical Practices in Work, Politics and Culture.